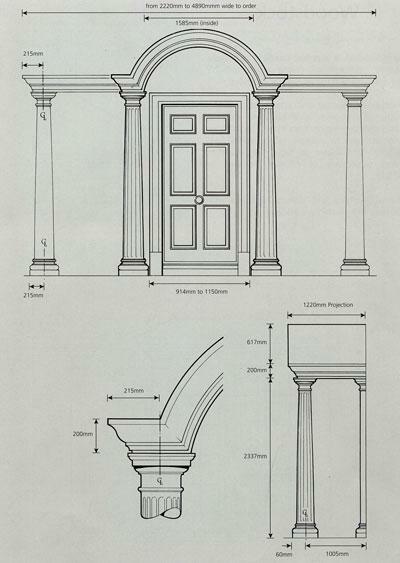 The Pembroke will accommodate door openings from 914mm to 3850mm wide supplied complete with fluted Doric columns and matching wall pilasters as illustrated with pediment and ceiling unit and detachable lead grey roof unit. 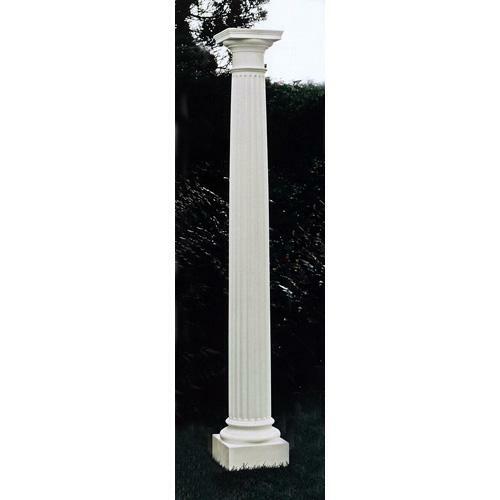 It is supplied in standard or non-standard overall widths from 2220mm to 4890mm with a standard projection of 1220mm. 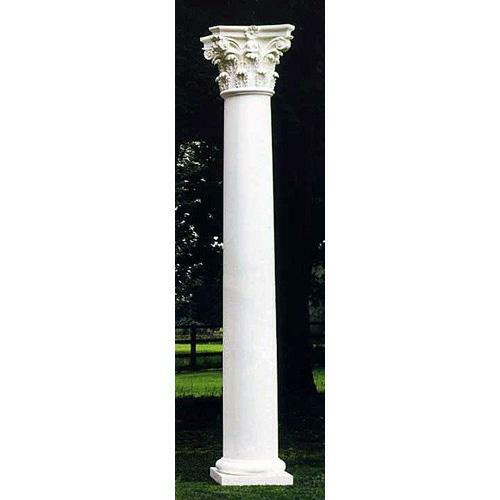 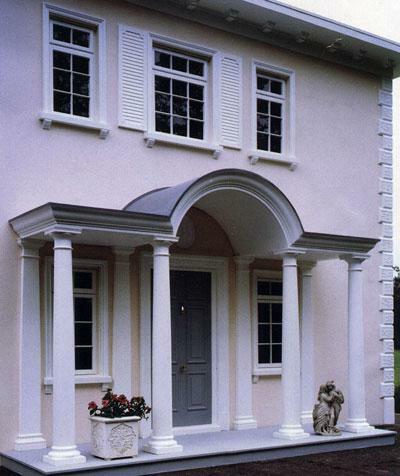 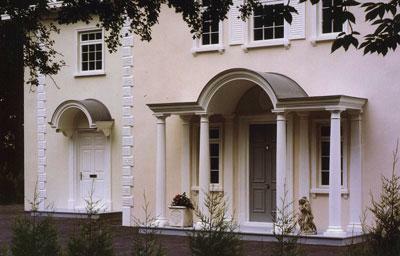 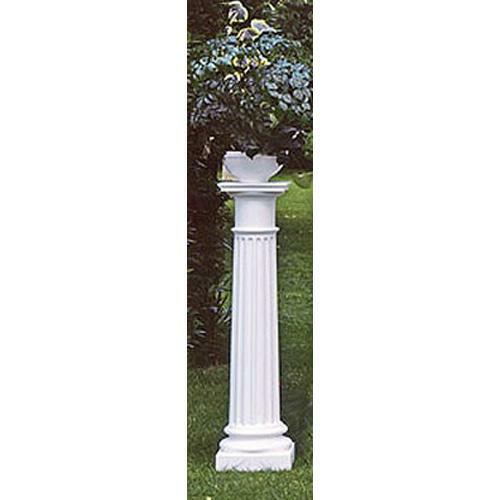 Alternative styles and size of columns with matching wall pilasters are available. 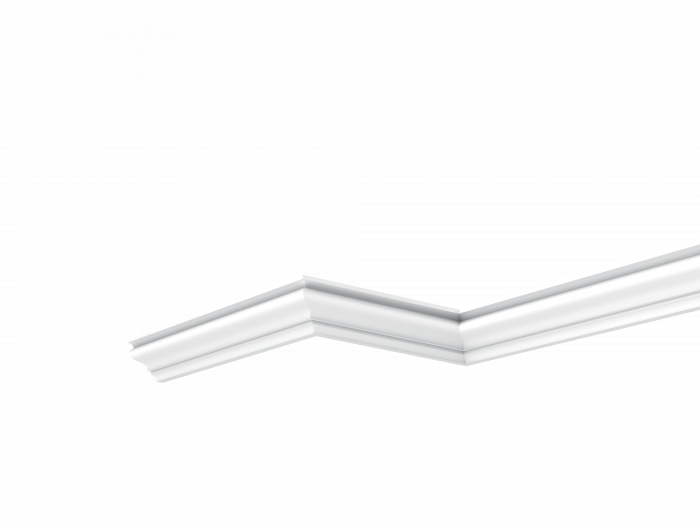 Price quoted is for 2211mm width and 1220mm projection.